Style: Navabi Shirt Dress... of Dreams. A couple of weeks ago now I was lucky enough to be invited to a blogger event at the Navabi offices in London. It was truly, truly glorious, just the most chilled, fun, lovely evening. I had so much fun catching up with old faces, meeting new ones and spending time with my patty sister Em. 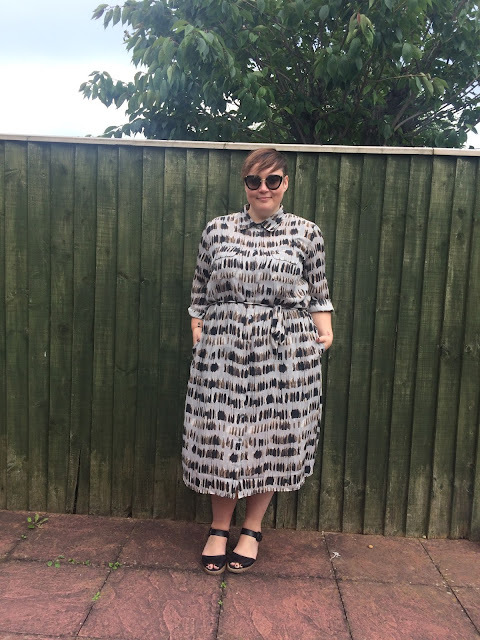 Did some trying on (the mustard number came home with me) and got the most amazing goody bags which included my amazing miu miu glasses (courtesy of the sunglasses shop) which I haven't shut up about ever since! 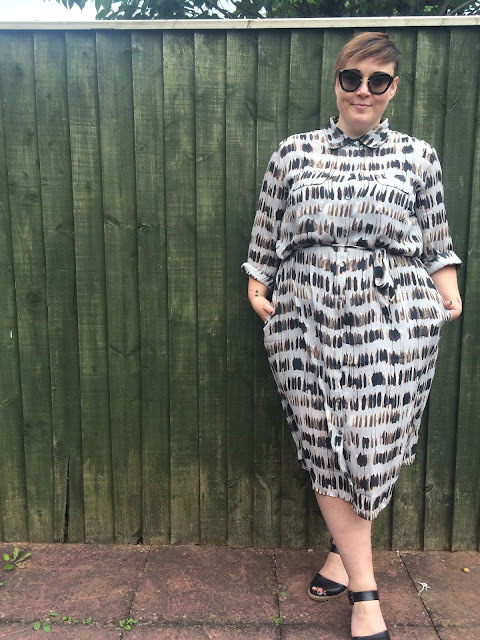 I do though digress, we were very kindly given a voucher to spend on the Navabi collection, and I snapped up this fine fine plus size shirt dress which is just bloody great. First up though, Poppy took these pics! How cute is that? (or child labour if you look at it another way) but still! I don't what to say about this dress other than it's bloody brilliant, go and buy it. 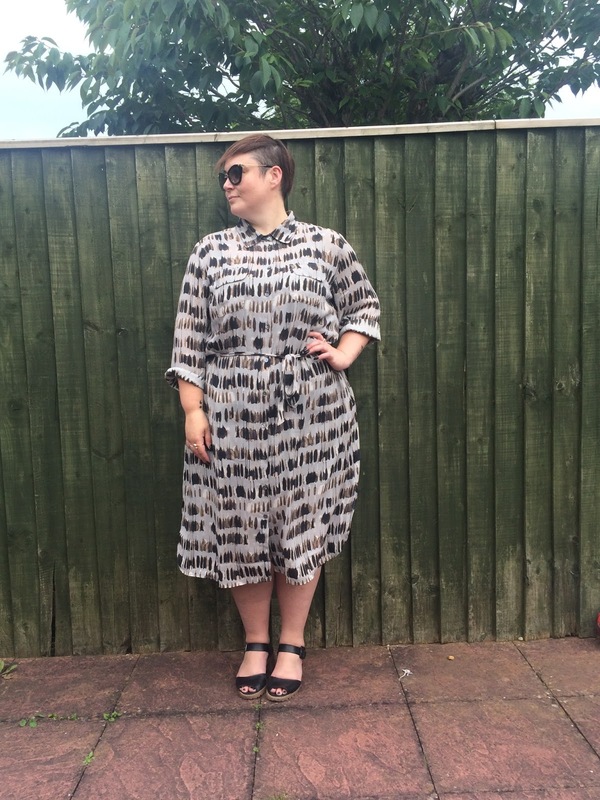 It is worth every penny, the fabric, the cut, the fit, the design, the whole shebang is glorious. I'm wearing the 24, it's an oversized style, but looks amazing with the belt. It's laid back, it's chic and everything I could wish for. Oh... And did I mention it has pockets? Poppy started getting bossy and directed me into this amazing pose HAHA!! Definitely can't justify spending £200 on a dress but it looks stunning! The mustard dress is swoon worthy! I dream about owning a pair of Miu Miu sunglasses!! 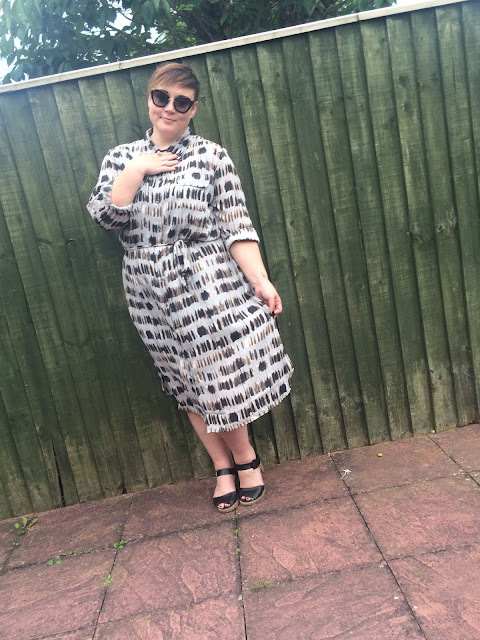 The dress you chose is amazing and I can see it being styled many ways throughout seasons! 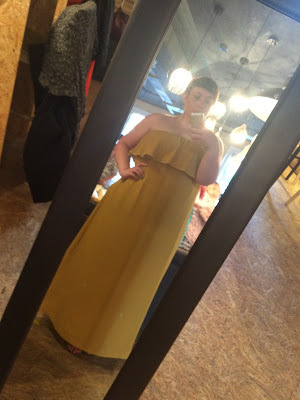 I also adore the mustard dress you tried on!